Row upon row of vines trailed across fields as we left the city of Santiago de Compostela behind and entered one of the most famed Spanish wine regions. But while the name Rías Baixas doesn’t perhaps slip off the tongue as easily as Rioja, its main export has certainly tantalised many a palate. And though this Spanish wine region doesn’t offer as much variety of wines as other locations, what it does produce, it does so well that the world has had to sit up and take notice. Albariñio is one of the most lauded white wines in the world and increasing in popularity as people discover more about its complex character. During my stay in the wine region, I would taste many bottles of albariñio, and with each the wine’s grandeur unravelled. This is no light and fluffy pinot grigio, apples and grapefruit don’t rule like in a New World sauvignon blanc. Albariñio is akin to a 19th-century novel – full of richness, depth of character, and sophisticated notes – the thick skins of the grapes giving off up to 800 different aromas. And the more time I spent in Rías Baixas, the more I realised albariño’s characteristics were like a reflection of the region itself. 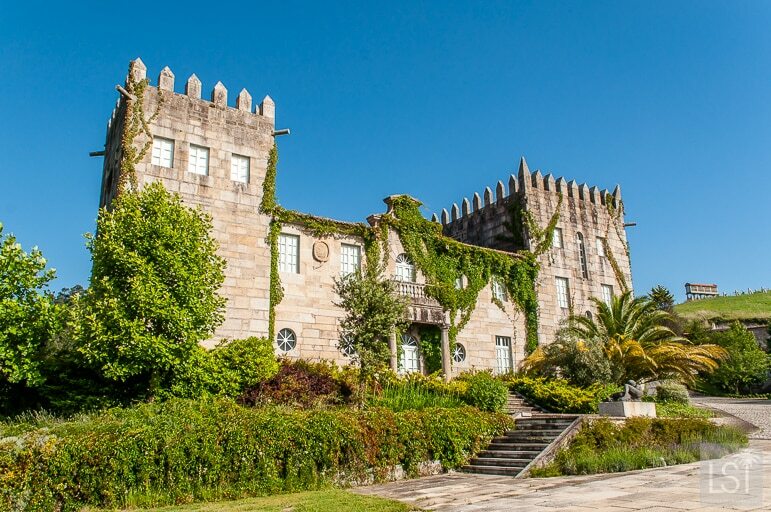 Located in Galicia in north-western Spain, Rías Baixas has much to recommend it. 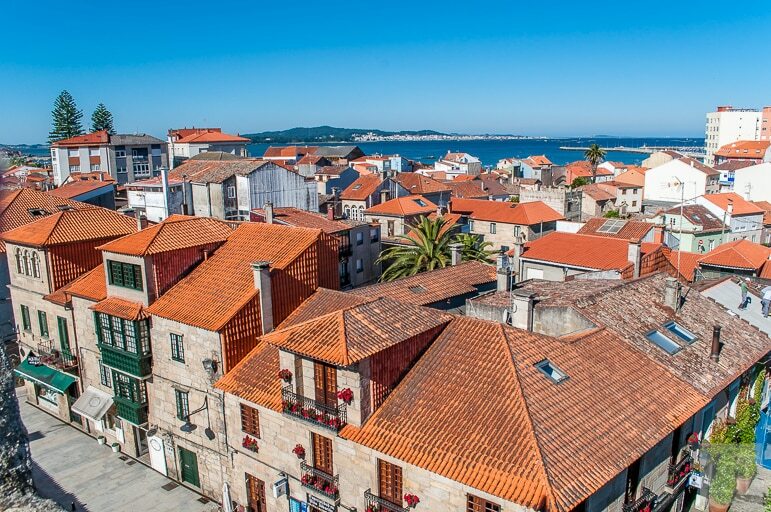 First, there is its fine coast, Atlantic yes, but when we visited at least, it showed its tame side – the wild breakers I’ve experienced elsewhere petering out into gentle ripples into the Ría de Arousa estuary. And this coast provides Galicia with a bounty of the best seafood in the country. It’s also green – something quite unusual, certainly further south in Spain. But don’t let this fool you that Galicia is somehow cooler than the sun-scorched south. It was a very pleasant 29-degrees during my visit in June. But one of the things that stood out for me in Rías Baixas in particular, was the fact that you can enjoy it in any number of ways. 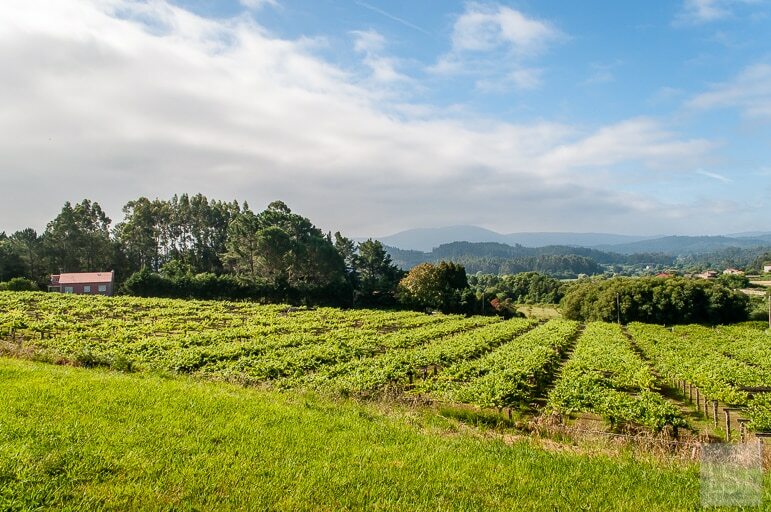 If you’re a wine lover, there’s the Rías Baixas wine route. 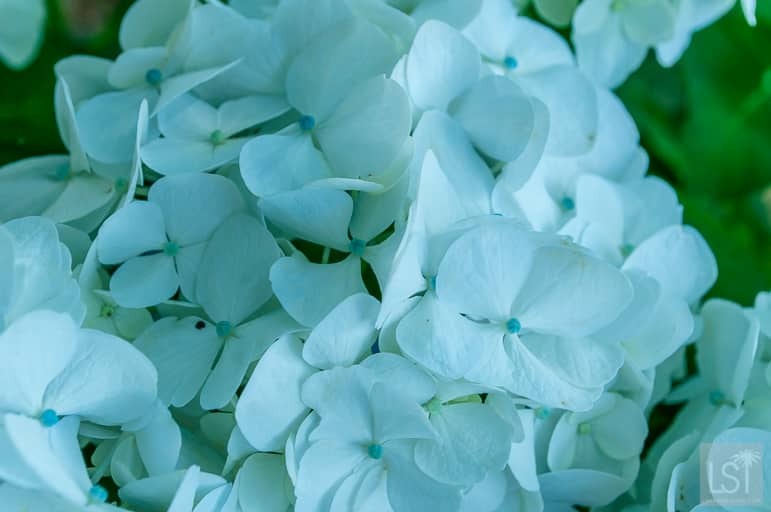 If flowers are your passion, you can sniff out the camellia route – the same fertile soil that brings character to albariño grapes is also beloved by the flower variety, resulting in a host of grand gardens across the region. 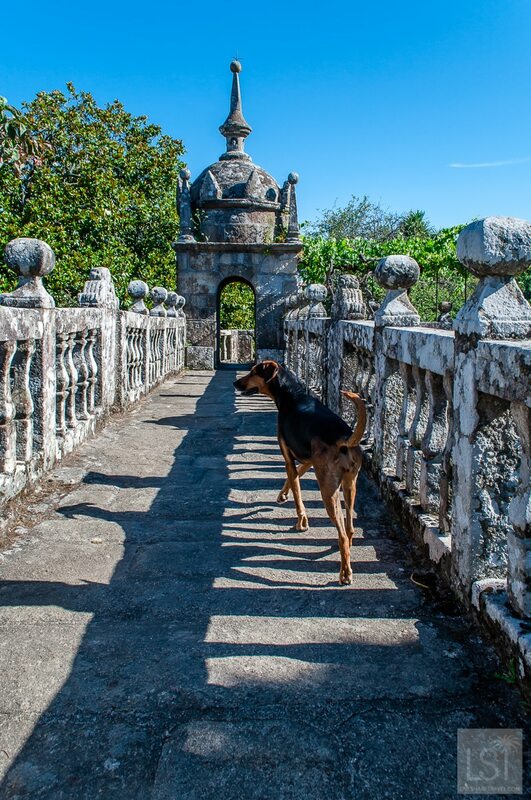 If you love hiking do so amid the shady paths of the stone and water route. 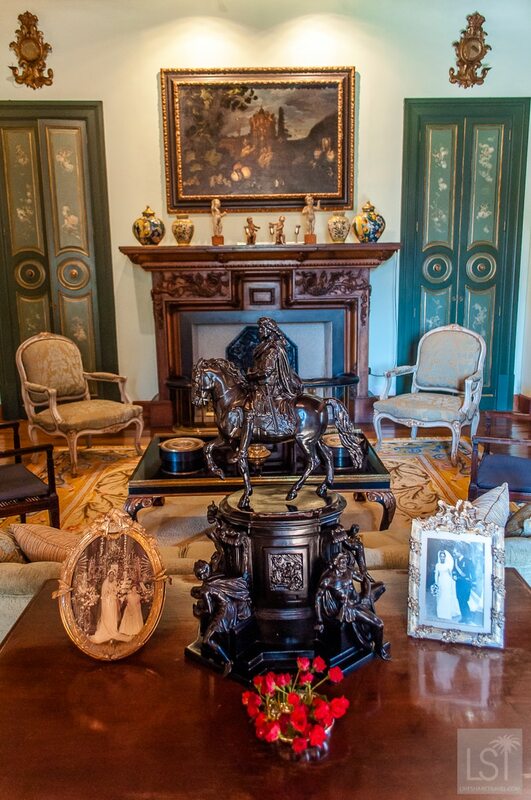 And if you love history, you’re also in luck – similar to the chateaux of France, this wine region of Spain has a host of regal country houses known as pazos, or palaces. 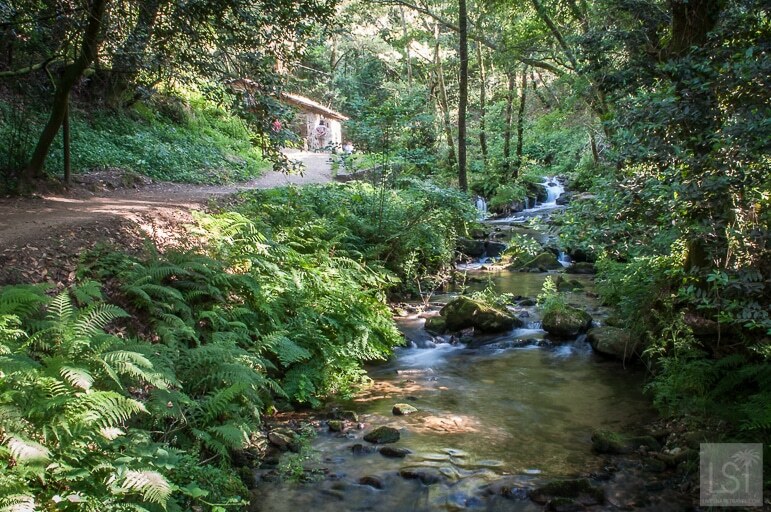 The pazos are home to their own albariños, wonderful stories secreted away in homes of distinction, and other attractions – be it camellias, or hidden gardens. 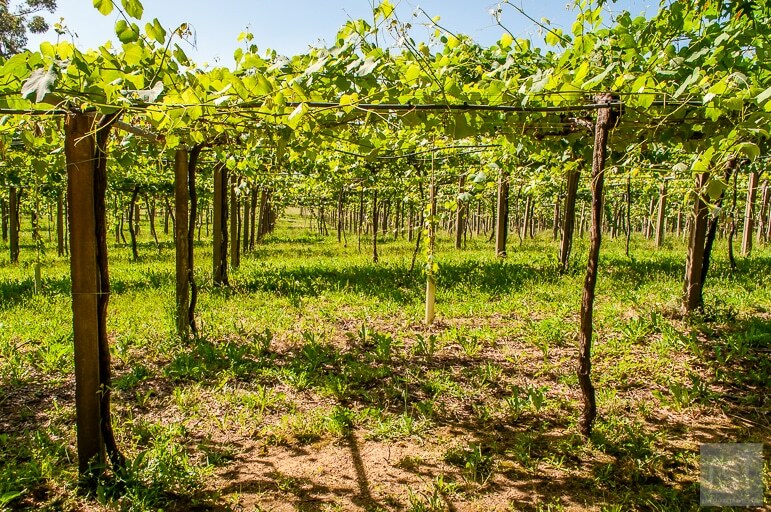 There’s little more lovely than discovering a place through its wine – wandering vineyards, enjoying tastings, pairing vintages with local foods at mealtimes, but the pazos added another layer to the experience. 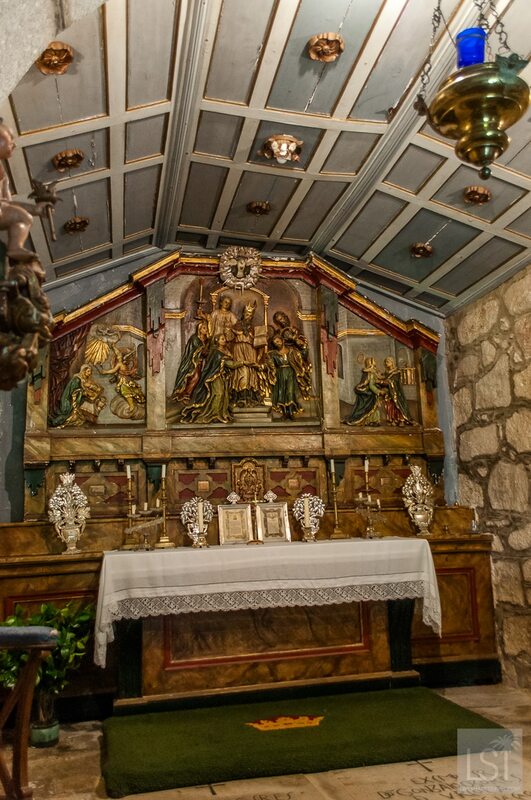 In each, you could soak up the history and culture of this Spanish wine region. 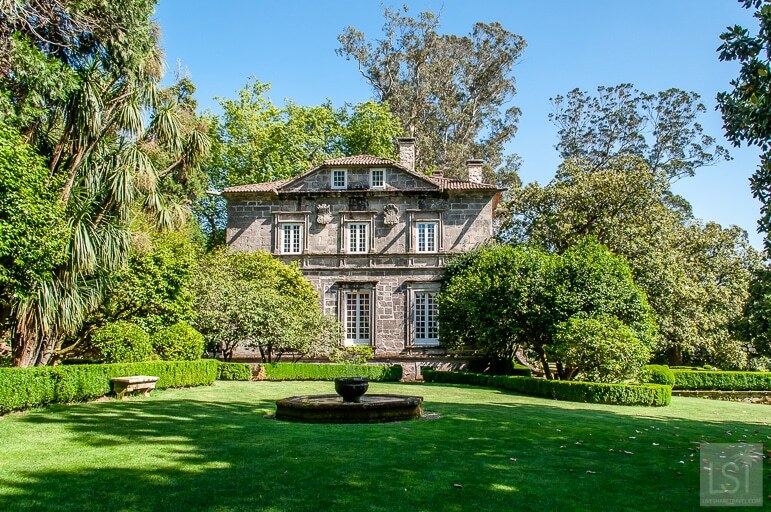 Pazo Baión was immediately impressive – not least for the manor house at its heart – dating back to 1928, and the wine itself. Sadly the house is due to be restored so we were unable to tour it, but we wandered the grounds taking in the unusual albariño vines. Due to the climatic conditions in this Spanish wine region, the vines don’t twirl on trellis lines in familiar style. 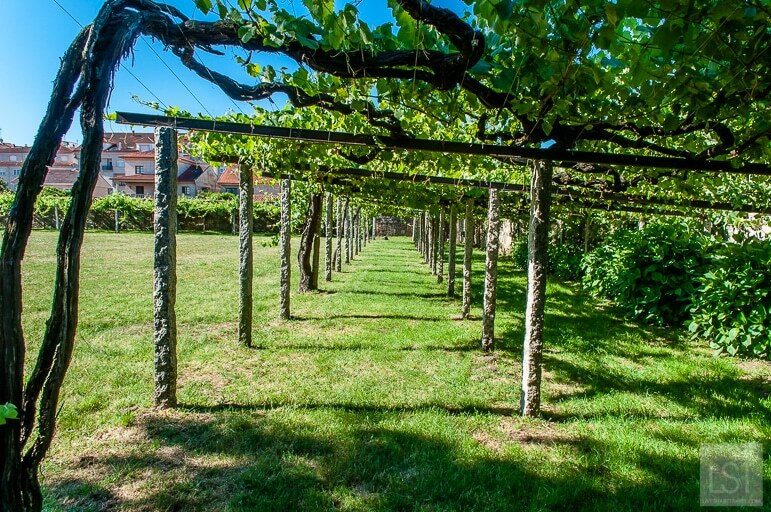 Instead in the Rías Baixas wine region, they are planted on rectangular frames, pergola style. 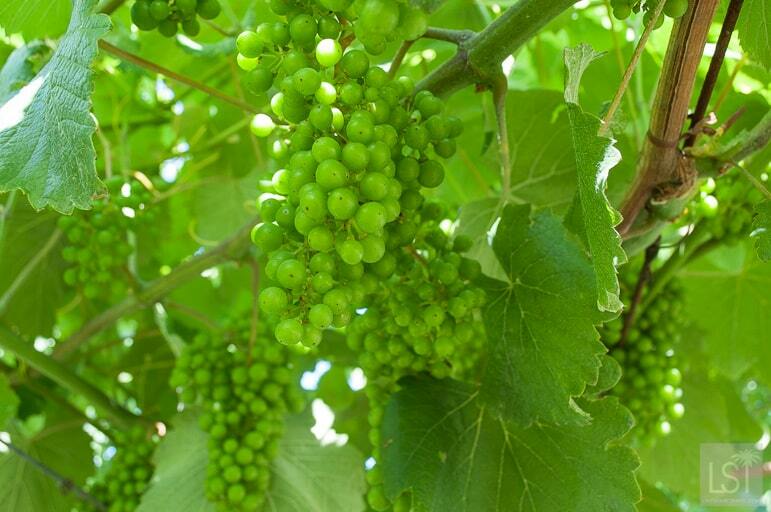 Not content with having its distinct nose, flavour, and growing style, albariño grapes too are different. 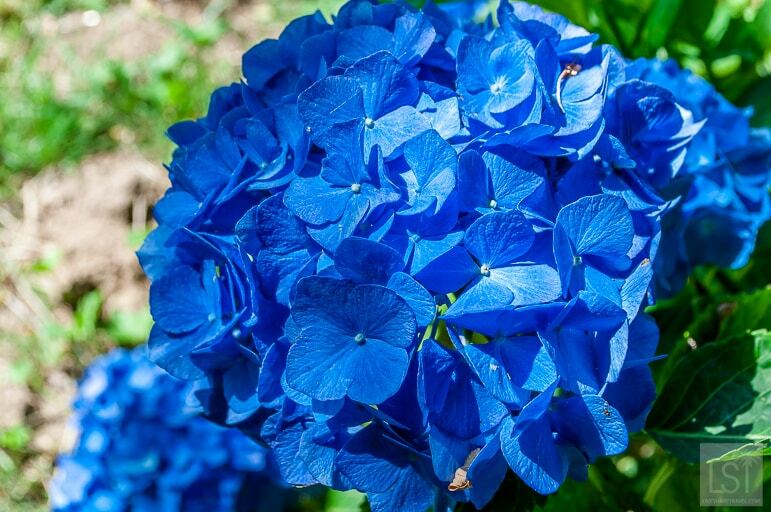 Small, round, and a deep, zingy green, they hung in tantalising bunches above my head. 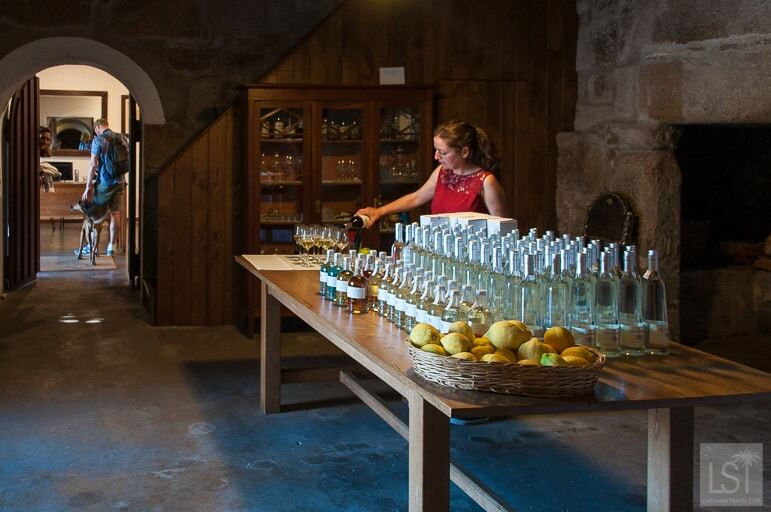 Heading inside Pazo Baión’s old dairy, we discovered where the grapes were transformed into Rías Baixas’ finest export. 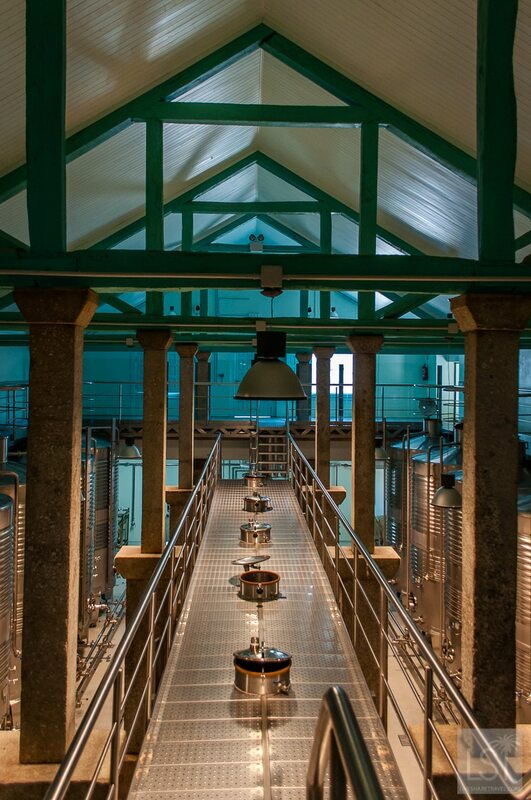 Beneath the vaulted roof where the scent of wine lingered in the air, there were huge shiny silver tanks used in the production process. Soon though we weren’t just taking in the nose of the wine but feeling it swish over our tongues as we sat beneath cool, shady trees for a tasting. 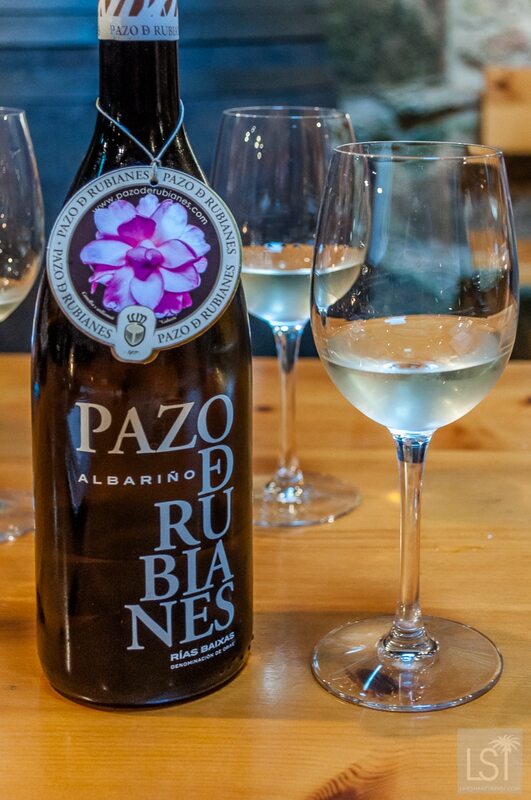 Pazo Baión’s namesake may be the wine of the house – a fresh albariño full on flavour but I also tried two other wines from small neighbouring estates – much lauded Condes de Albarei and crisp, full-flavoured Erexbre. 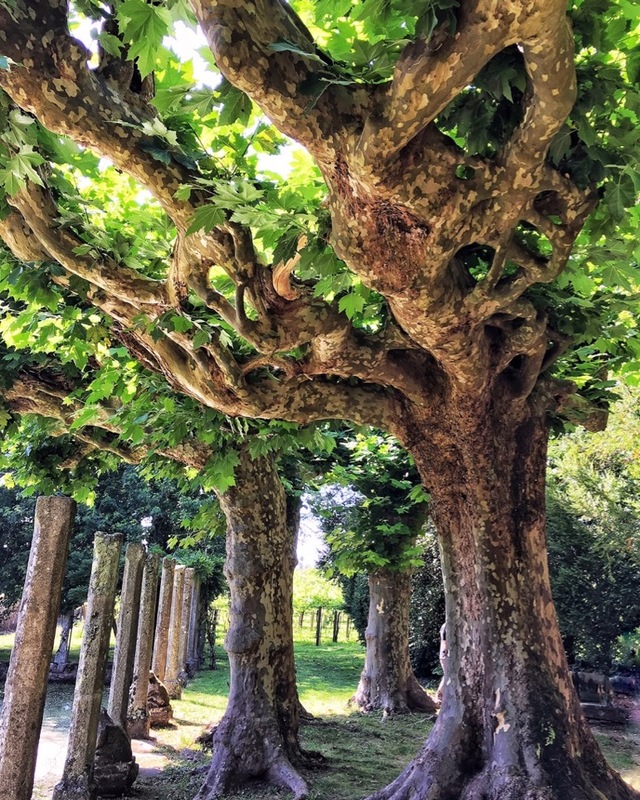 The next day at Pazo de Rubiánes the Rías Baixas wine region seduced even more of my senses. 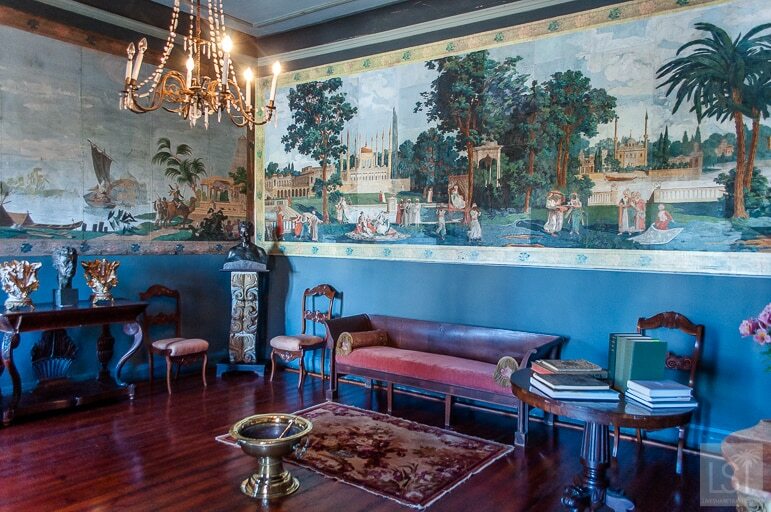 The pazo is one of 12 prized manor houses and garden stops on the Camellia Route. Galicia is home to nearly 8,000 varieties of camellia since they were brought from the east by Portuguese sailors in the 19th century, and it’s become quite the place for anyone who loves beautiful gardens. 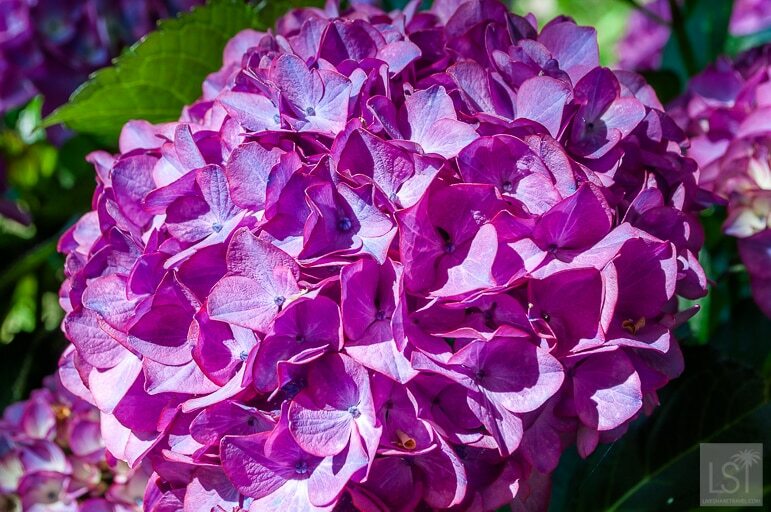 The region’s flowers have become so popular that Galicia is even displaying its finest camellias in The Pazo’s Secret Garden, a show garden this week at the Hampton Court Flower Show, in London. 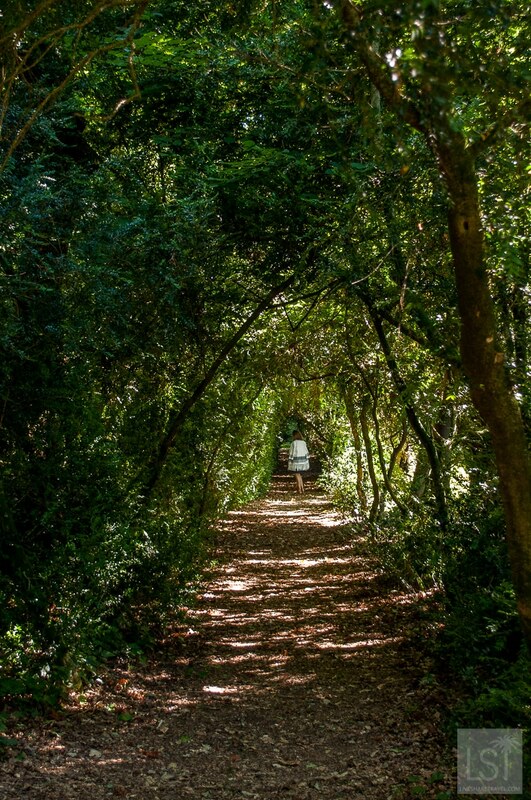 Pazo de Rubiánes has long had spectacular gardens, and not only filled with camellias, but other species you wouldn’t expect such as towering eucalyptus, and spectacular themed gardens. Stepping inside the manor house holds interest too. 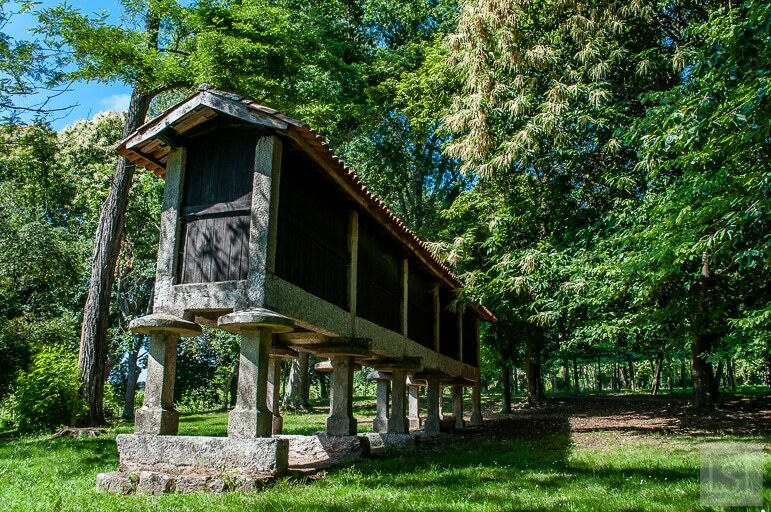 Sections of the pazo date back to the 14th century, and there you can learn more about the Rubiánes family, their modern history and of course, taste wine produced there. 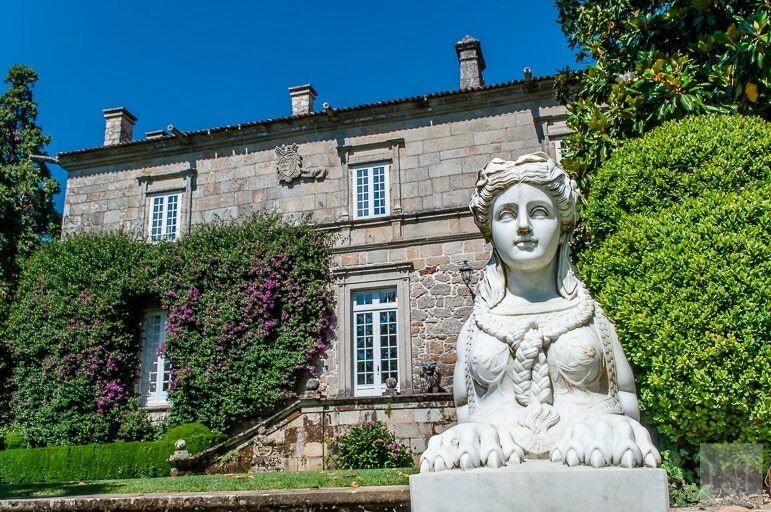 Perhaps the most unusual of the pazos I visited was Pazo de Fefiñáns as it sits at the heart of Cambados, this year’s European City of Wine. 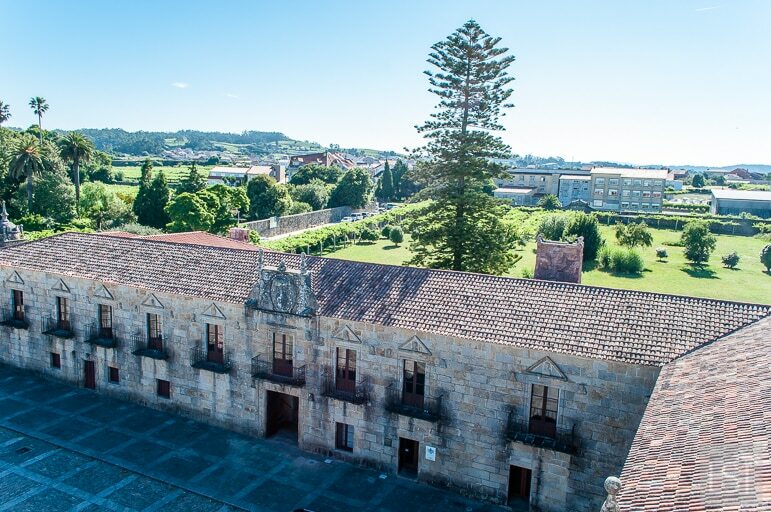 A renaissance style building, it has plenty of history to discover inside while outside of the palace there are orchards and the old vineyards, with some vines pre-dating phylloxera. 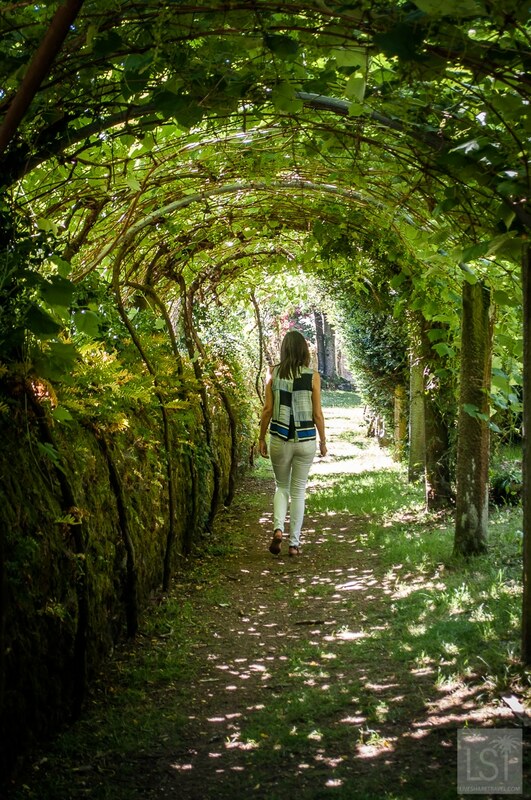 At the end of the orchard, you come to a small wood of The Secret Garden level intrigue – winding paths disappearing beneath centuries-old oaks and chestnut trees. 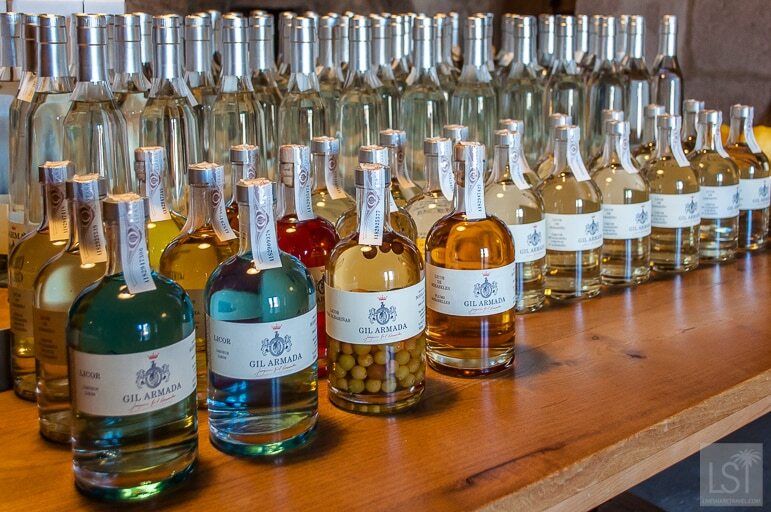 Back inside I tasted their albariño, produced under the Gil Armada label, plus a whole range of wine-based liquors, the most fascinating being Mar Atlántica with an unusual but tasty sea-salty flavour and one with whole albariño grapes further maturing inside. 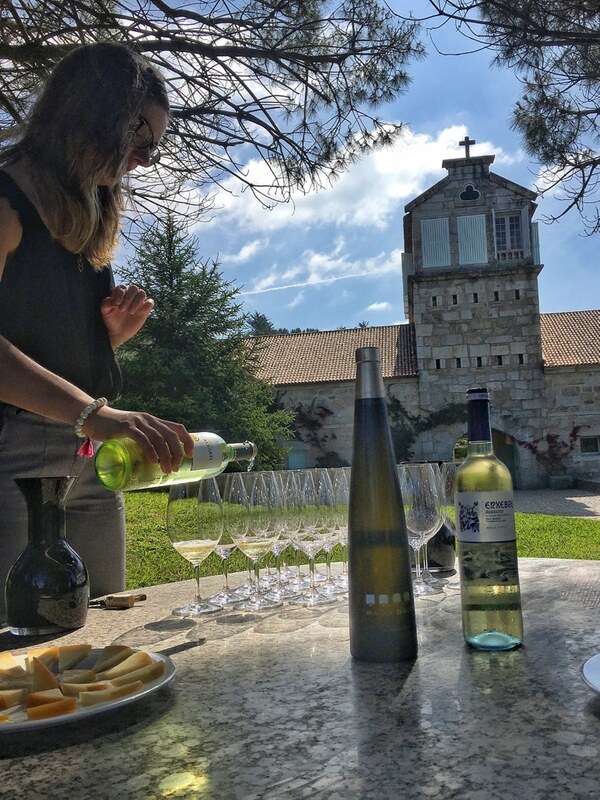 Pazos are to Rías Baixas what chateaux are to France’s wine regions. They offer a glimpse of the history and culture of the region. Their elegance the perfect metaphor for the refined flavour of albarinño. Visit, soak up the experience and be sure to taste the wine. 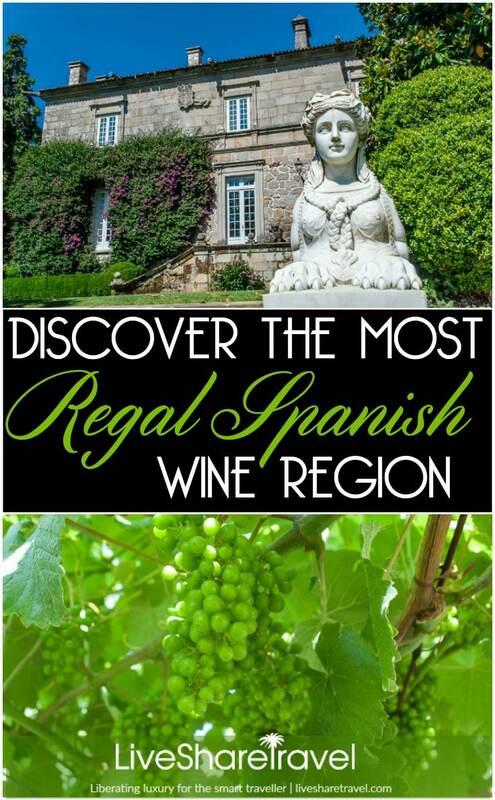 Learn more about Spanish wine regions from Rías Baixas to Rioja and everything in between. 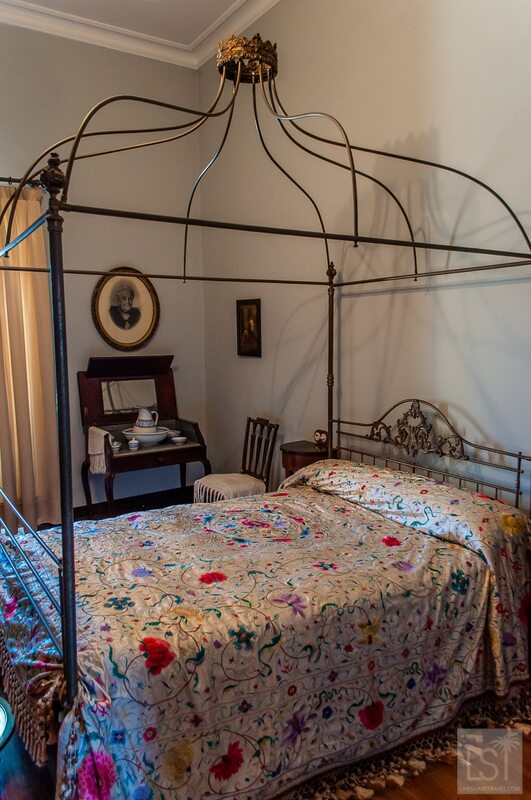 Looking for somewhere to stay in the region? Don’t miss homely, boutique La Quinta de San Amaro, or for something quirky, why not stay in a bottle of Albariñio at B&B MadeInFofan. The room doesn’t have an en-suite bathroom but it is fun and comes with a bottle of albariñio wine per night of your stay.